Boris Stroud bought it. I believe he'll be at the July VRRA race at Calabogie on it. graves wrote: I haven't gotten an email back yet from the board admin. Is there a different email out there? a earlier post mentions an email to the the President. I'm the board admin, how can I help? My bride's health is going in the wrong direction. Sadly, it is time to sell my rig. 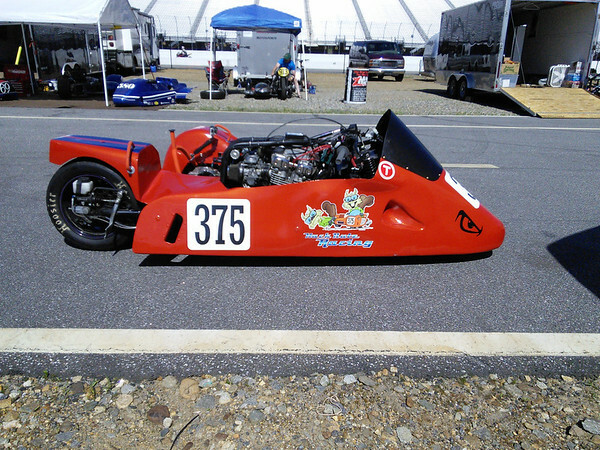 See https://hacknutzr.us/2016/12/12/for-sal ... 3-sidecar/ for more detail. I called Peter. He isn't going to the AGM. can't make it. Once I see who is going, I'll designate my proxy to vote. Topic: F1 Rig for sale. Re: F1 Rig for sale. ronniemceachern wrote: His name is Phil Hodgson. He owns HB Cycle out of Lindsey Ontario. I am delivering it on Saturday and giving him Russ's info. excellent! and thanks for the info. Miles wrote: Congrats to Ken on the TLE/F3 trophy. Great job!! thanks! Pretty easy to win when you don't race Miles; damn hard to do when you do! ronniemceachern wrote: Rig has been sold. much better than being on the con track!